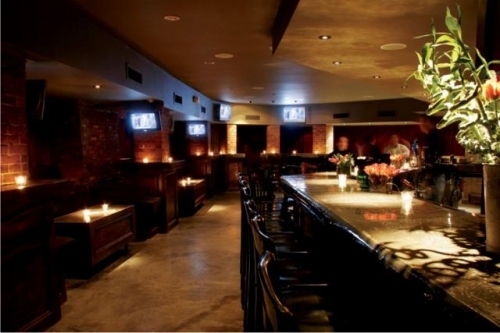 On Monday, March 24th Tutors for All hosted our first Alum Networking Event at the Good Life Bar in Downtown Boston. It was a success! We were able to reconnect with around 30 former tutors and staff. It was a great reunion, as well as a networking event. We were housed in the basement, a very cool space (pictured above). It was perfect for the amount of people that we had, around 30 (or, since we are in the education sector, a large classroom’s worth). Good Life deserves major kudos for donating the space and being very accommodating, both before and during the event. We were also able to get some video testimonials from some more of our great alums. Look out for them! This entry was posted in Tutors for All Blog: One Student at a Time on March 25, 2014 by Mark Destler. We are at the “beginning of the end” of the Spring 2014 semester here at Tutors for All. So, we’re taking a moment to reflect on how much tutor volunteers have contributed to our programs during this academic year. During the Fall 2013 semester, volunteers served 946 hours. By choosing to volunteer, these tutors provided approximately $11,350 worth of work! We are genuinely thankful to our volunteers – their generous contribution of their time and skills make a huge impact towards bridging the achievement gap. We’re looking forward to seeing how the graph for Spring 2014 looks in comparison to last semester. Will we have more hours? Will the school breakdowns be the same? Are there ways we can increase volunteerism (from colleges and beyond)? We shall see. Connecting with Superstar Alums, Colby Jackson…and you! Today is the day! Our First Alum Networking Event is kicking off tonight at the Good Life! RSVP for the event here. This entry was posted in Alumni Portraits, Tutors for All Blog: One Student at a Time on March 24, 2014 by Mark Destler.